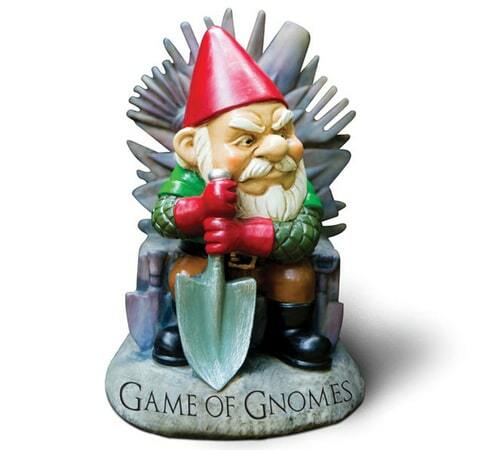 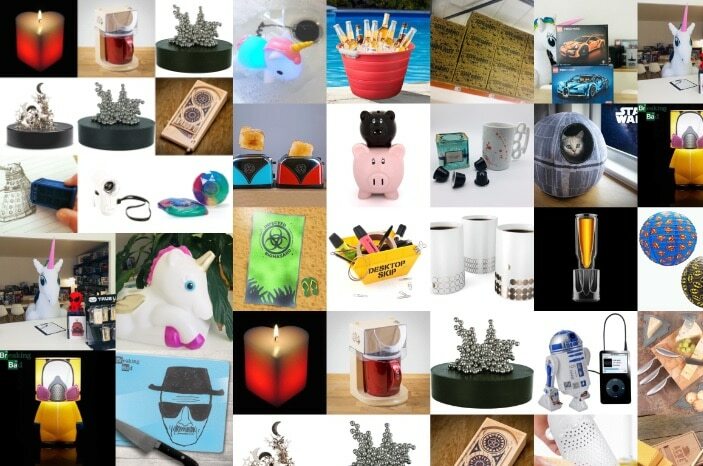 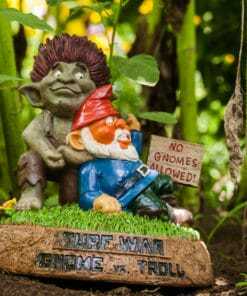 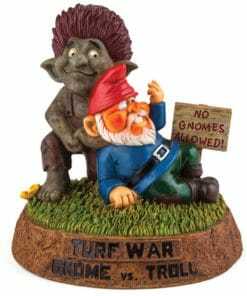 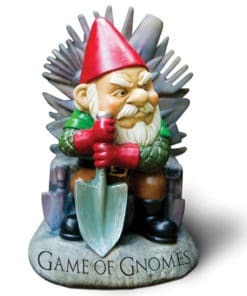 Summer is coming and we have got the perfect rule for your garden – our Game of Gnomes Garden Gnome. 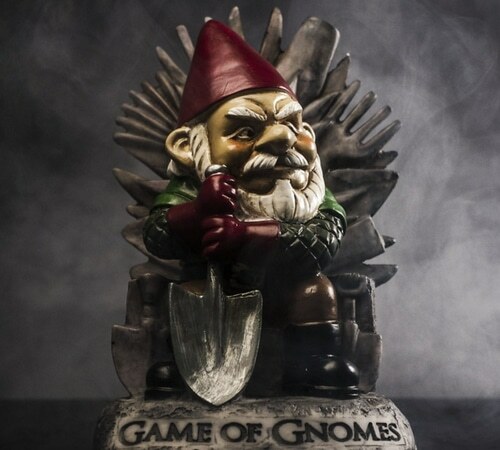 For those of us without green thumbs, gardening is a lot like playing the game of thrones: our plants win or they die. 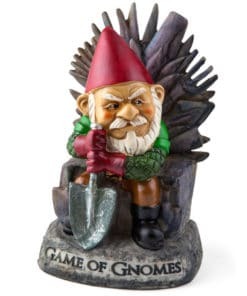 However, now we have someone powerful on our side, and he’s sitting on the Iron Throne itself, albeit one made from rakes and spades, and assorted gardening implements we can’t identify (which could be part of our problem). 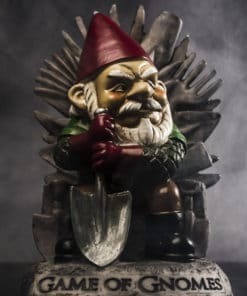 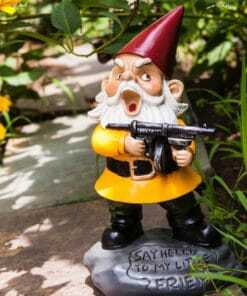 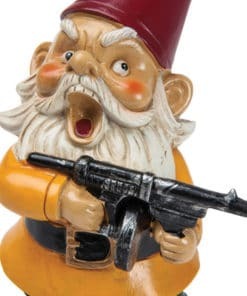 This Game of Gnomes Garden Gnome statue will watch over your yard with a fair sense of justice, protecting it from White Walkers and gophers alike. 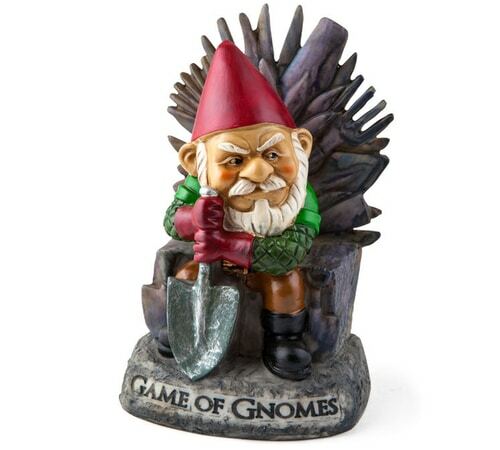 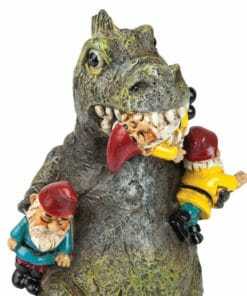 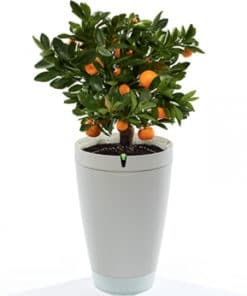 Even if you’re a Greyjoy and you do not sow, this little fellow can hold court on your patio or your desk. 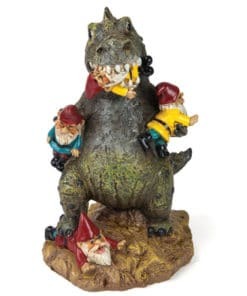 He’s not particular. 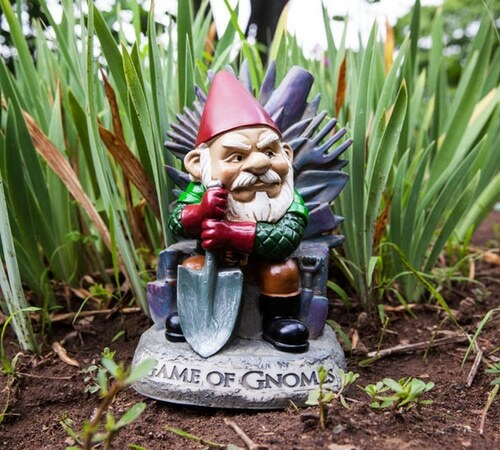 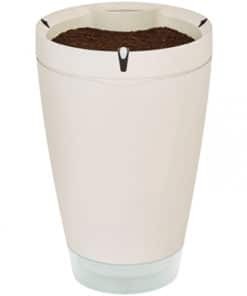 Choose the rightful king to rule over the 7 kingdoms of your garden! 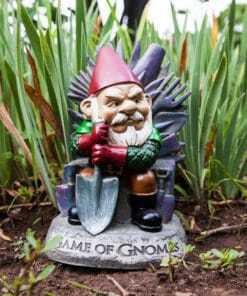 Whether you plant His Grace in the garden or on a bookshelf, this quirky and clever Game of Gnomes Garden Gnome will make friends and garden creatures alike bend a knee to the tiny king.